Montana fly fishing is legendary. Anglers from all over the world travel to Montana to experience fly fishing the blue ribbon trout rivers and pristine mountain lakes. Whether an angler seeks to battle trophy sized wild rainbow trout on the Yellowstone River or to experience the solitude of a high mountain lake, Montana provides fly fishing experiences like no other place can. Montana provides such an abundance of opportunities that visiting anglers frequently have difficulty in deciding where to start their fly fishing adventure. This website will help you begin planning any fly fishing trip to the state. An angler can research all major rivers and many lesser-known ones, obtaining helpful fly fishing and floating information about each. An extensive photo gallery of each river and lake is provided, allowing the visiting angler to better understand and visualize a particular river or lake before planning their trip. Each river is also broken down to provide individuals who will be float fishing or rafting a river with helpful information, such as access points, locations of dams and river miles. 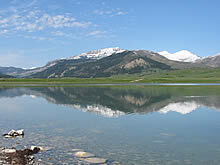 Big Sky Fishing.Com provides a wealth of information about Montana not found elsewhere online. 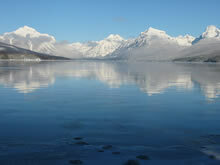 In the Explore Montana section of the site, thousands of photos showcase all areas of state. In-depth information is provided on a multitude of topics, ranging from scenic drives, the wonder skiing to its quirky towns and cities. 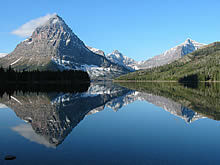 Fishing and hiking information for Glacier National Park and Yellowstone National Park is also included on the site. Detailed fishing and floating information, as well as photographs, for more than 40 rivers. Information and photos for fishing more than 50 lakes. Browse through more than three thousand photos. The “Crown of the Continent.” Visit this section to explore the hiking, fishing and other recreational activities in this beautiful National Park. 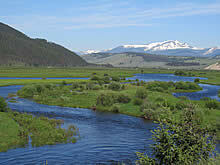 Fishing information and photographs for all the major rivers in Yellowstone. 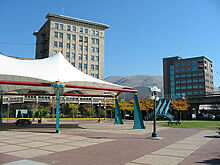 Information, history and photographs for all the primary “cities” in Montana. 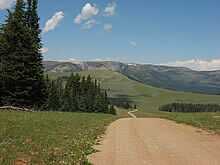 Explore Montana the way it is meant to be explored, off the main highways. Detailed information, photos and maps about forty-four scenic drives. Live views of Montana. 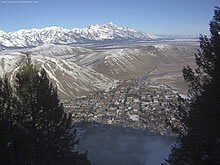 Links to over 200 web cameras, organized in an easy to browse and mobile-friendly format. The Montana Hi-Line – The essence of Big Sky Country. Explore this unique but forgotten part of the state. In-Depth Guide to Fly Fishing Gear – Everything you wanted to know about fly fishing gear, as well as some things you didn’t. The Montana Stream Access Law – The definitive guide to legally accessing the state’s beautiful rivers, streams and lakes. The Small Towns of Montana – Learn more and browse hundreds of photos of the many unique and sometimes quirky small towns found throughout the state. 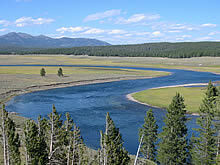 Other topics, some related to Montana and others not, explored on this website that visitors may still find of interest. Inflatable Kayaks – Great boats for floating a western river. Visit page for help on deciding whether you need one and what kind to get. Inflatable Rafts – Another great boat for float trips, visit this section of the site to enter the mysterious and exciting world of inflatable rafts. Fly Fishing Boats – Breaking down the different types of boats that work well for fly fishing. The Water Footwear Guide – Avoiding cold, smelly and squishy feet while staying safe on the water. The Snow Boot Guide – Montana and snow go hand in hand. Winter Socks – You really don’t wear cotton socks in the winter, do you? How to Keep Your Feet Warm in the Winter – Cold feet? Maybe this will help. Hiking in Grizzly Bear Country – Or how to avoid becoming a meal for the local fauna. Boots, Shoes & Socks – Detailed info and reviews for specific Sorel Boots, Ugg Boots, Baffin Boots, Smartwool Socks and Water Shoes.